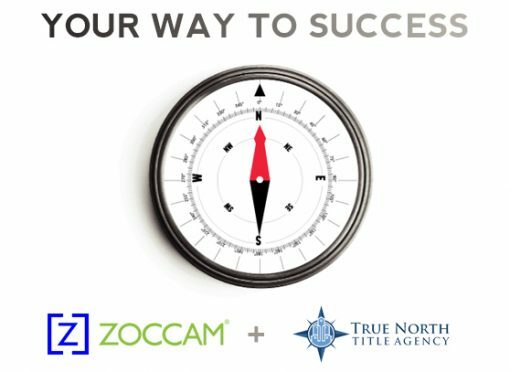 “The reaction from our customers when announcing ZOCCAM was extremely positive. Their eyes light up when we help them download ZOCCAM and they realize how easy it is to send earnest money. Especially the ones who are 45 miles away from our nearest location,” said Derek Mills, Division President of True North Title Agency. ZOCCAM enhances the customer experience and increases the geographical reach of customers by providing a secure mobile platform with a user-friendly experience. “Realtors and the consumer are the most critical parties to the transaction and they must be connected to the settlement service provider to prevent wire fraud and provide more transparency. Rather than focusing on the back and forth of older delivery methods, True North Title Agency and its customers can be assured of a simple and secure delivery of the contract and the earnest money deposit,” said CEO and Founder Ashley Cook. ZOCCAM is releasing ID Check which allows for a more secure transaction by authenticating the identity of the parties to the transaction. The release is scheduled for March, 2018.